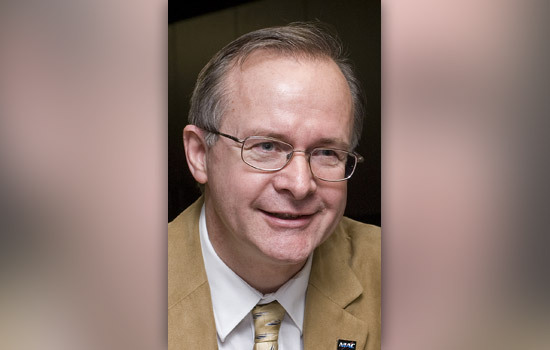 Rochester Institute of Technology professor Grover Swartzlander has been appointed the incoming editor-in-chief of the Journal of the Optical Society of America B. The international scientific publication of the Optical Society of America has been in print since 1917. It currently publishes approximately 450 papers per year in the area of optical physics. “Even with the proliferation of many specialty journals, the Journal of the Optical Society of America B. has maintained a steady impact factor and a long citation half-life,” says Swartzlander, joint associate professor in RIT’s Chester F. Carlson Center for Imaging Science and School of Physics and Astronomy. Swartzlander has served the Optical Society of America in other volunteer capacities, including topical editor of Optics Letters, member of the Publications Council, and member of the Fellows Committee. He is an OSA Fellow, a NASA Innovative Advanced Concepts Fellow and a Cottrell Scholar. His current research combines experimental and theoretical methods in the areas of advanced optical navigation of solar sails, advanced optical instruments for detecting exoplanets and optical vortex phenomena.